Berkery Noyes Represented BG Media Investors On The Sale Of HMP Communications To Alta Communications, Mackler And Fisher - Berkery, Noyes & Co., LLC. 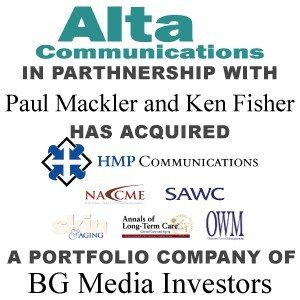 New York, August 21, 2007 — Berkery Noyes announced today that the firm represented BG Media Investors on the sale of its portfolio company HMP Communications (“HMP”) to Paul Mackler, Ken Fisher, and Alta Communications. Terms of the transaction, were not disclosed. HMP, launched in 1985, has grown significantly over the past two decades to become the premier resource for medical information and education in select therapeutic fields. Today, HMP Communications reaches tens of thousands of healthcare professionals providing medical information, groundbreaking research and continuing medical education through its journals, newsletters, books, CD’s, meetings, conferences, exhibitions, symposia, and online. Berkery Noyes acted as exclusive financial advisor to BG Media Investors on the sale of HMP Communications. Berkery Noyes has been involved with many of the most notable transactions in the healthcare, pharmaceutical tools and services, and medical marketing sectors involving both strategic and financial buyers and sellers. Berkery Noyes is an investment bank specializing in mergers and acquisitions in the information, technology, content and communications industries. 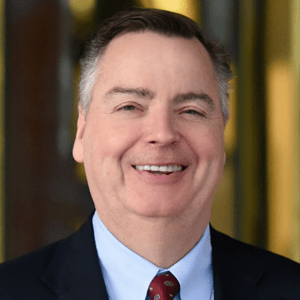 Berkery, Noyes’ clients include private companies seeking a buyer as well as companies and private equity firms who use BNC’s expertise in identifying, analyzing and negotiating with acquisition candidates and in managing divestitures. The firm operates with a staff of thirty-two professionals from its office in New York. More information is available at www.berkerynoyes.com.